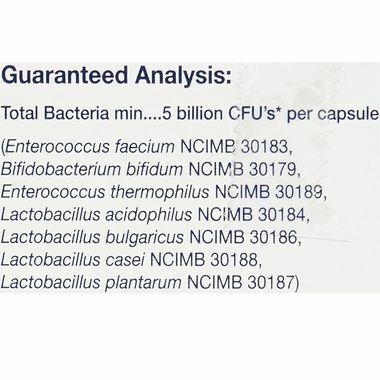 Proviable contains a source of live (viable), naturally occurring microorganisms along with multiple species and billions of beneficial microorganisms per daily administration. 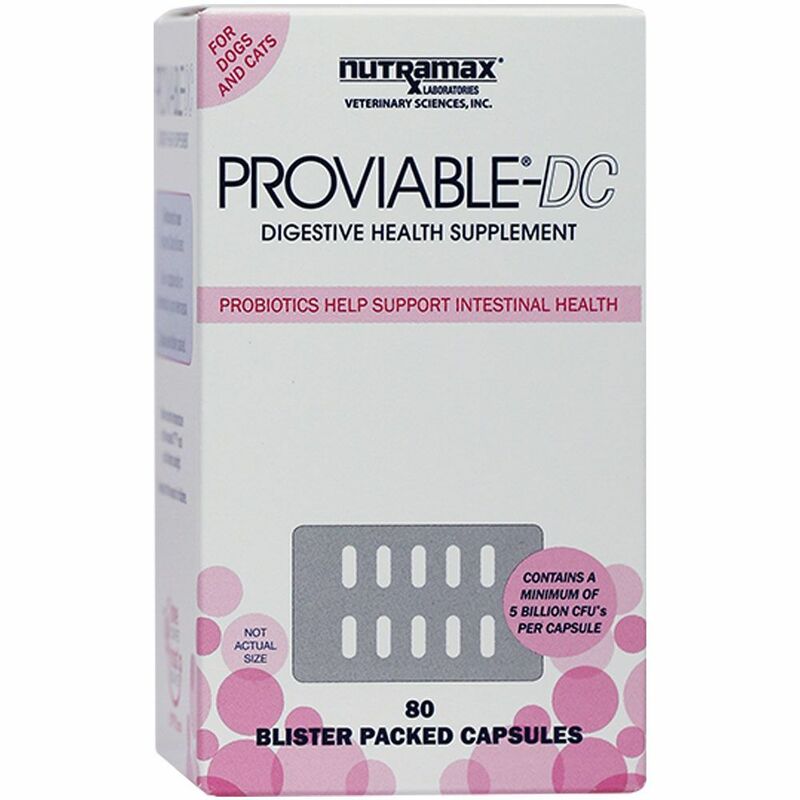 The Proviable-DC capsules continue to reestablish healthy intestinal balance. Added prebiotics, found in both formulations, encourage growth of the Proviable beneficial microorganisms within the intestinal tract. 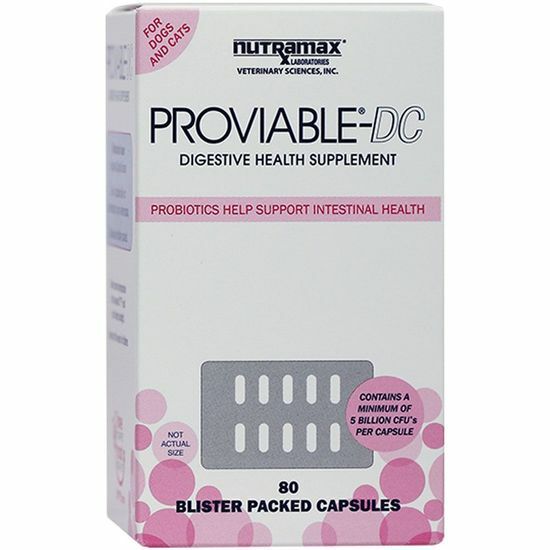 Proviable also helps to reestablish healthy intestinal microflora after imbalances have occurred due to: antibiotic use, dietary indiscretion, food sensitivities, stresses due to travel and kenneling, weaning of puppies and kittens, metabolic disturbances, immune system related gastrointestinal conditions. 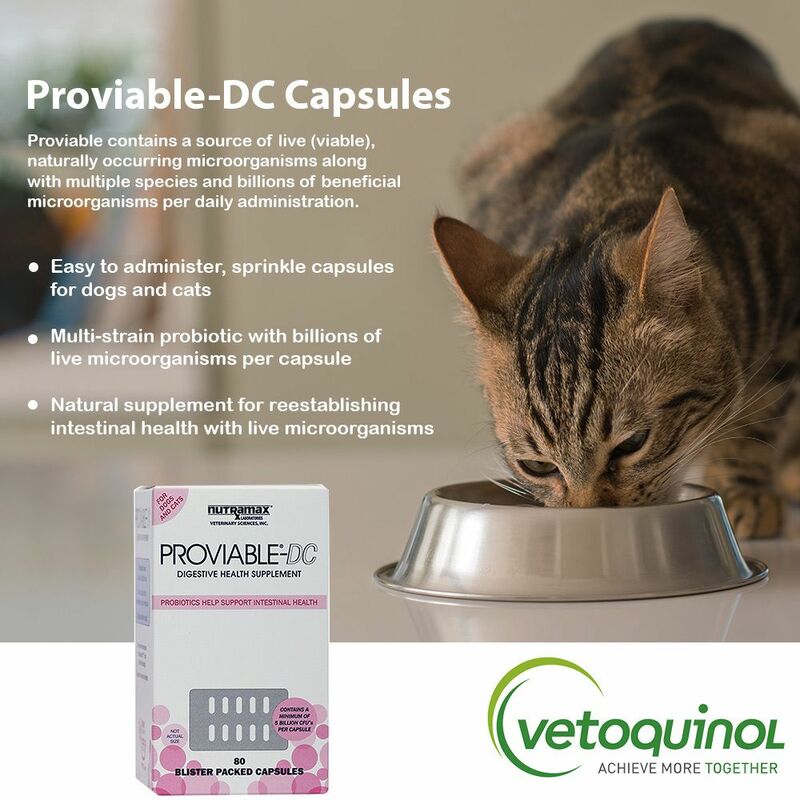 Proviable is a great product for keeping my dog's digestive heakth balanced. I give it to my 13 year old dog twice a day in his meals. 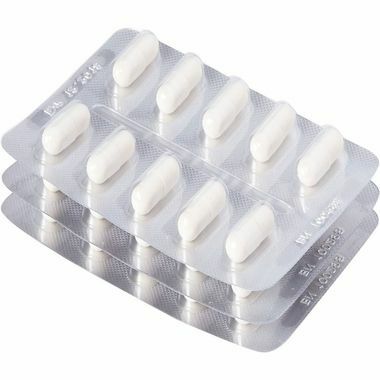 ProsThe blister packet housing each pill helps to ensure the probiotics in the capsule do not degrade. 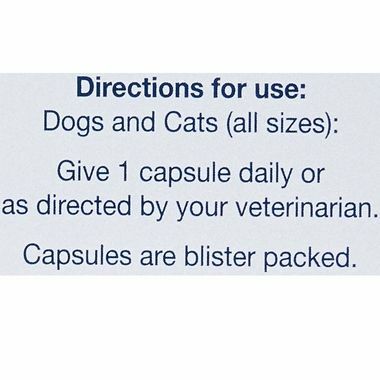 I've been using Proviable DC for my basset hounds, since recommended by my Vet several years ago. I just place one capsule in with their dry food every day, and they eat it right up. I think it's very important for their digestive health, especially if they are on antibiotics of have nibbled on something from outside, that gave them diarrhea. Wonderful product for digestive health and thriving puppies. Coats and skin looking wonderful on the adults. I have a Maltese with IBS and tried this product. I am thrilled to say it has improved his health incredibly and I also give it to my other Maltese just to keep him healthy. I highly recommend Proviable-DC to anyone with toy breeds that have digestive issues.